John Virgo sealed his only major title with a 14-13 victory over Welshman Terry Griffiths, despite an almighty scare midway through the match. Leading Griffiths 11-7 overnight, Virgo didn’t check the start time of the final session and, arriving late, was docked two frames before losing another two. From being on odds-on winner, he was faced with the prospect of winning a best of five. Virgo recovered the situation at the mid-session interval though and held his nerve in a final frame decider with Griffiths, overcoming the reigning World Champion and what could have been a costly off-the-table error. Remembered most vividly for its tense climax in a final frame decider, this classic between Alex Higgins and Steve Davis wasn’t short of a plot twist in Preston. Both possessing two world titles, the players of contrasting styles locked horns in an absorbing duel. Davis established a commanding 7-0 lead but then witnessed a series of inspired clearances from ‘The Hurricane’ to level the match at 8-8 and 12-12, before the pair entered a nervous decider at 15 frames a piece. 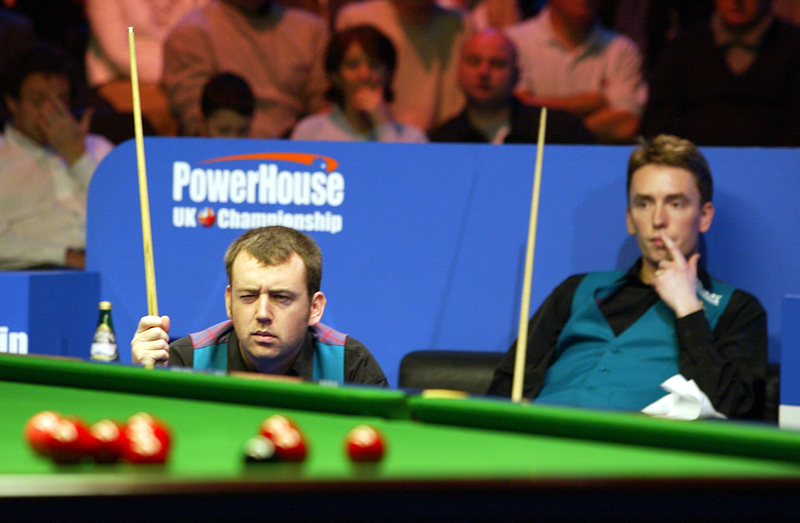 The broad smile of Higgins, the pain etched on the face of Davis; arguably the most iconic UK Championship final of all time. Successive triumphs for Stephen Hendry in 1989 and 1990 spelled the end of Steve Davis’ imperial dominance. The young pretender proving too strong with a 16-12 victory in their first meeting before an almighty battle the following year. Davis, seeking revenge, had a fine opportunity to clinch his seventh UK title when he led 15-14 but, misjudging a pack-split attempt, his break ended prematurely on 44. After a tense tactical exchange, Hendry cleared – including a magnificent rest shot on the final blue to overtake Davis – and sent the match to a decider. Hendry oozed confidence as he delivered a 98 break to win 16-15. Davis later described it as the moment he knew his era was over. It was a performance that stunned the snooker world and paved the way for a new star in the sport, the final signifying a new era of dominant youth. 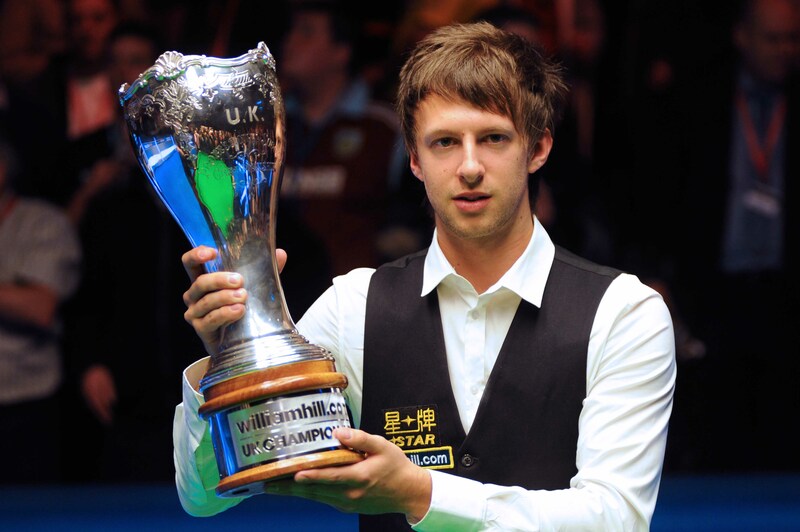 His opponent in this mouth-watering final, Hendry, was already a three-time world champion at the age of just 23. O’Sullivan made breaks of 78, 103, 121, 52, 62, 73 and 85 in the final as he stormed to the first of his six UK Championship titles. On his way to five triumphs in eight years, Hendry produced arguably the best final performance in snooker history to seal his third crowd in 1994. When the Scot led 6-3, he had made breaks of 112, 114, 130, 109, 106 and 110. 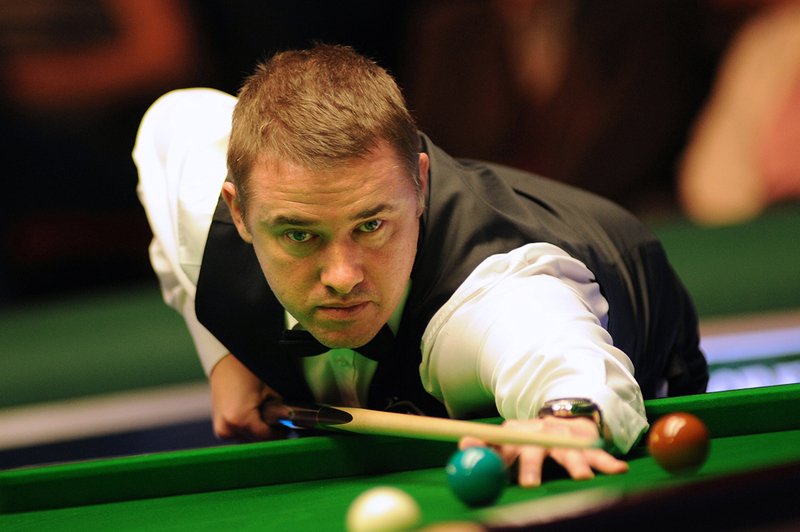 Doherty recovered to 6-5 only for Hendry to reel off four more frames in a row with a top run of 106. “What magic,” commented Ted Lowe. Hendry’s record of seven centuries in one match remained unmatched until Ding Junhui’s seven against Alan McManus in the semi-finals of the 2016 World Championship, a best-of-33 frame contest. With both finalists at the top of their game, 2002 went all the way. Having swept aside world champions Hendry (9-2) and Peter Ebdon (9-3), Mark Williams could seal his second UK crown with victory over Doherty, twice a runner up and beaten 10-1 the previous year by O’Sullivan. Tied at 9-9, 1997 World Champion Doherty led 28-17 in the deciding frame before an unsuccessful safety sent the cue ball in-off. Williams, already a champion in 1999, placed the white on the baulk line and confidently dispatched a long red to leave himself nicely on the black. Despite falling out of position on the penultimate red, the Welshman made a stunning 70 clearance before bouncing the cue ball off the table on the final black. More than two decades on from Davis’ defeat to Higgins in the unforgettable 1983 final, the six-time world champion surprised everyone by reaching the 2005 final in York. His opponent was an equally unexpected contender, 18-year-old Chinese cueman Ding Junhui. While the experienced Davis could take confidence from a 9-6 semi-final victory over Hendry, an up-and-coming Ding had downed Jimmy White, Paul Hunter and Neil Robertson on his route to the final, setting up a tantalizing climax to the tournament. From 3-3, Ding pulled away to lead 8-4. Davis managed to take two more frames, but this was to be youth’s triumph over experience. Having been crowned China Open champion earlier in the year, Ding secured his second ranking title to become the second youngest UK Champion ever, and the first overseas. 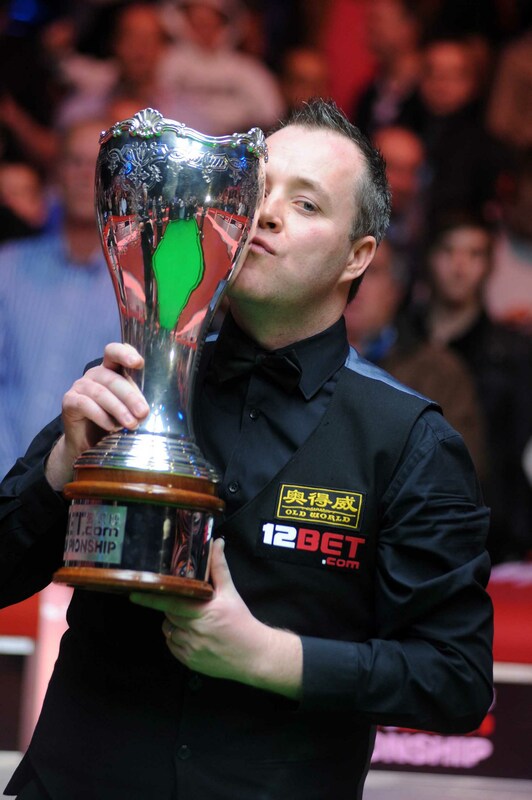 One of the most impressive victories of John Higgins’ decorated career came in the form of a thrilling comeback in the 2010 final, having trailed 9-5 to the 1999 and 2002 winner Williams. Higgins even needed a snooker when the score was 9-7, but got it and kept closing the gap. 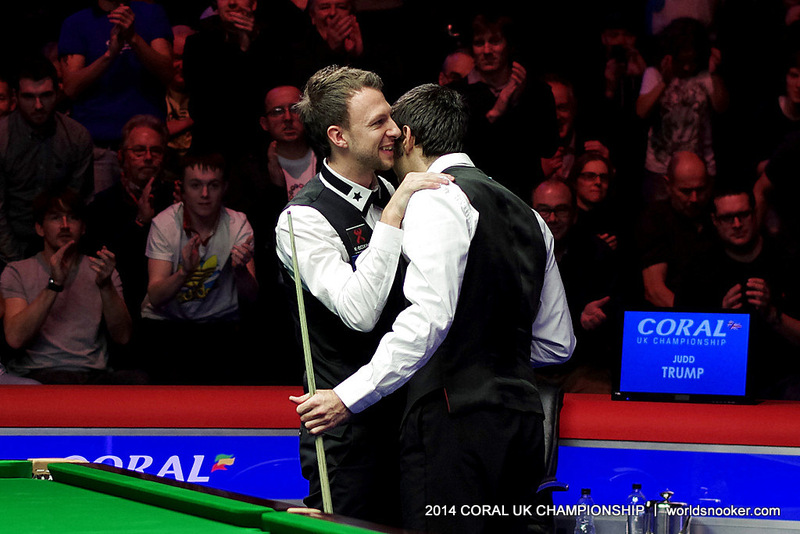 Equalising at 9-9, an unpredictable final frame rested on a tactical battle on the colours. Higgins’ courageous decision to opt for a long double on the brown was rewarded as he sank match ball, before dispatching blue and pink to prevent Williams from returning to the table. “I was a man on a mission. I just never gave up,” said Higgins after lifting the trophy for the third time. “Naughty snooker” was how Trump famously described his style of play as he blazed his way through the field with audacious long potting and rapid break-building. His final clash with Allen, two players with a combined age of just 47, produced a tremendous standard. From 3-1 down, Trump won seven frames in a row to lead 8-3. Back came Allen to within a frame at 9-8, before Trump sealed the title with a quickfire run of 91. In all the match featured five centuries and ten more breaks of 50. This highly anticipated final saw two of snooker’s most naturally gifted and exciting talents go head to head. O’Sullivan applied immediate pressure to take a 5-1 lead, registering a pot success rate of 95% as Trump stuttered. The final two frames of the first session went the way of Trump though, to give the younger player confidence of overturning a 5-3 scoreline. As the evening session progressed, a break of 133 helped the Rocket to a 9-4 lead. Trump finally found his rhythm and mounted an incredible comeback, including back-to-back centuries, clawing back to 9-9. A tense deciding frame was settled when O’Sullivan made a crucial break of 51. A warm handshake between two smiling players was a fitting end to an enthralling encounter, the Rocket winning his fifth UK Championship title.